Although suicide is generally not caused by just one factor, suicide and substance abuse are serious problems that are often closely linked. 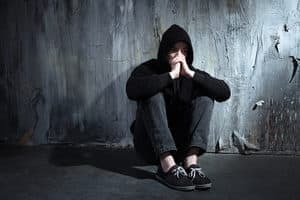 If you or someone you know abuses substances, you probably want to know more about the connection between drug abuse and suicidal ideation, behaviors, and attempts. However, if you or your loved one is in danger, call the National Suicide Prevention Lifeline 1-800-273-8255 or 911 immediately. Relationship problems or losing/ending a relationship. Stress due to work, legal, or financial issues. Saying that they feel like a burden to others. Talking about wanting to die or wanting to kill themselves. Looking for a method to kill themselves, like buying a gun or looking online. Using increasing amounts of drugs and alcohol. Behaving recklessly or acting agitated or anxious. Withdrawing or socially isolating themselves. Exhibiting rage or talking about wanting revenge. If you live with someone who may be depressed or suicidal, it’s important to remove their access to materials that could cause self-harm or death, such as firearms or medication. Furthermore, if you feel depressed or suicidal, it’s important to seek immediate mental health attention in the form of counseling or rehab. Depression and suicide are very complex mental health concerns that require professional treatment. A dual diagnosis rehab center helps treat the addiction as well as the mental health condition. Rehabs offer different therapies and treatments to help you stay clean and sober. For example, rehabs often provide services such as individual counseling, family therapy, group therapy, 12-step groups, vocational training, health services, and more to provide you with as much support as possible as you start the path to recovery. 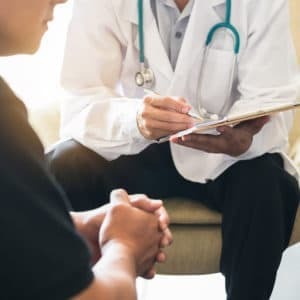 You might participate in therapies, such as cognitive-behavioral therapy (CBT) to address unhealthy thought and behavior patterns, or motivational enhancement therapy to help you stay motivated in treatment. You don’t have to let addiction and mental illness rule your life. 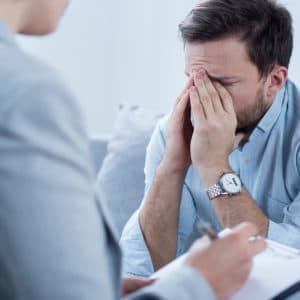 Admitting the need for help and finding a dual diagnosis detox or treatment program are vital steps you can take to make a positive change and take back control of your life. People at risk of suicide often don’t know where to seek help. You can help save someone’s life by providing information about resources and referring them to treatment. National Suicide Prevention Lifeline at 1-800-273-8255. Anyone who is in distress, contemplating suicide, or wants to know more about how to help someone in need can call this hotline 24/7 for free, confidential support. National Alliance on Mental Illness at 1-800-950-NAMI (6264). This hotline is available Monday–Friday between 10 a.m. and 6 p.m. ET. You can get more information about mental health and mental illness from trained staff and volunteers. Crisis Text Line by texting “HOME” to 741741 to text live with a trained crisis counselor. SAMHSA’s National Helpline at 1-800-662-HELP (4357). The hotline for the Substance Abuse and Mental Health Administration, which is available 24/7, 365 days a year, provides information on mental health and substance abuse concerns, as well as referrals to treatment. Even when times seem dark, suicide is never the answer. Reaching out for help is not a sign of weakness–it is a sign of strength that can help you or your loved one hold on to hope and see the light through the darkness. Caring and concerned professionals and volunteers are available across the U.S. to assist you or your loved one in recovering from mental illness and beginning the road to a happier and healthier life. Centers for Disease Control and Prevention. (2018). Suicide Rates Rising Across the U.S..
National Suicide Prevention Lifeline. Warning Signs. Love, C., Davidson, L. & Valenti, M. (2014). 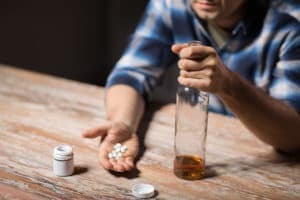 Understanding the Connection Between Suicide and Substance Abuse: What the Research Tells Us. National Institute on Alcohol Abuse and Alcoholism. (2017). Alcohol Facts and Statistics. U.S. Department of Health and Human Services. (2008). Does Alcohol and Other Drug Abuse Increase the Risk for Suicide? Chick. J. (2015). Suicide, Self-Mutilation and Delirium Tremens. Alcohol and Alcoholism, 50(4), 377–378. Substance Abuse and Mental Health Services Administration. (2016). In Brief: Substance Use and Suicide: A Nexus Requiring a Public Health Approach. Dragisic, T., Dickov, A., Dickov, V., & Mijatovic, V. (2015). Drug Addiction as Risk for Suicide Attempts. Materia Socio-Medica, 27(3), 188–191. Drug Abuse Warning Network. (2014). Emergency Department Visits for Drug-Related Suicide Attempts Have Increased. Rethink Mental Illness. (2018). Drugs, Alcohol and Mental Health. Center for Substance Abuse Treatment. (2006). Detoxification and Substance Abuse Treatment. Treatment Improvement Protocol (TIP) Series, No. 45. 1. Overview, Essential Concepts, and Definitions in Detoxification. Rockville, MD: Substance Abuse and Mental Health Services Administration.